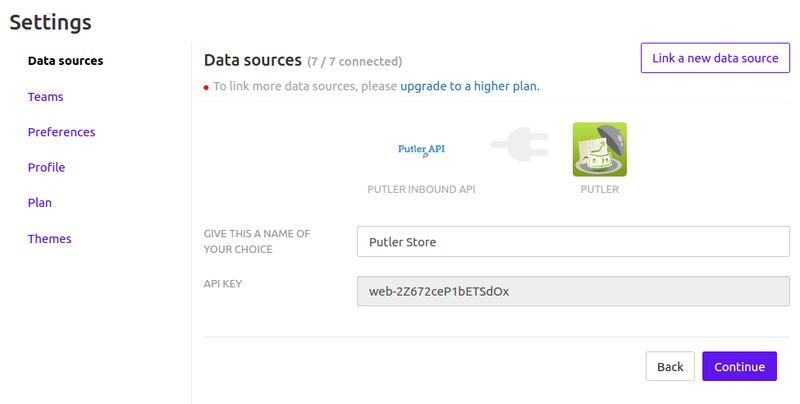 Create a new account in Putler of type “Putler Inbound API”. You will get a Key to use in all the API calls. Each transaction will have only 1 entry. "Date"," Time"," Name"," Type"," Status"," Currency"," Gross"," Fee"," Net","From_Email_Address","Transaction_ID","Item_Title","Item_ID"," Sales_Tax"," Reference_Txn_ID"," Quantity","Address_Line_1","Address_Line_2","Town_City","State_Province","Zip_Postal_Code"," Country"
10/29/13,13:05:29,"Chirag B","Shopping Cart Payment Received","Partially Refunded","USD",50.5,-1.76,48.74,"john@putler.com","5X16702303884432U","Shopping Cart",,0.5,,1,"Street1","Street2","City","CA",95101,"United States"
10/29/13,13:05:29,"Chirag B","Shopping Cart Item","Partially Refunded","USD",50,,,"john@putler.com","5X16702303884432U","Product-1","RM-7",,,1,"Street1","Street2","City","CA",95101,"United States"
10/29/13,03:36:11,"Chirag B","Recurring Payment Received","Completed","USD",2,-0.36,1.64,"john@putler.com","0G565730603123547","Weather Updates","MET-2013",821.21,"1Test address","San Jose","CA",95131,"United States",6543332132,"Sub-7562396"